This is a simple variation of any rice-and-beans dish but with other ingredients and spices added. I was going to make a very basic paella with fish and shellfish added, but at the last minute I felt like down-scaling and this was the end result. Anyhow, as usual, this recipe is just a suggestion, not a blueprint. Use whatever ingredients and flavors you like. And by the way...this is super-delicious. Anyhow, here's the recipe. 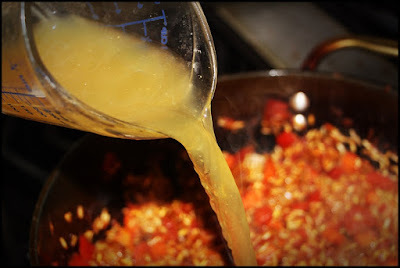 Heat the olive oil in a heavy-bottomed sauce pot or deep skillet over medium-high heat. 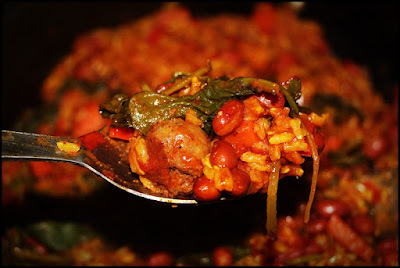 Add the chorizo and cook it for a few minutes, until it browns. Remove the sausage to a plate, leaving rendered fat, oil, and crispy pieces in the pot. Add the onion, carrot, and bell pepper; saute for a few minutes. Then add the garlic, then the chili, cumin, turmeric, and salt; for a few minutes to bring out their flavors. 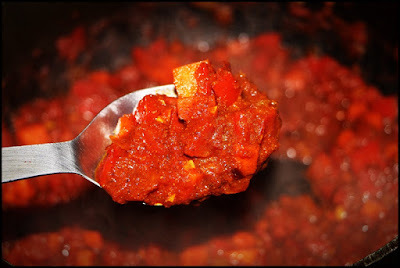 Add the diced tomatoes and their juice. Lower the heat and simmer the tomatoes, vegetables, and spices for 5 or ten minutes until some of the tomato liquid evaporates and forms a sort of sofrito. Add the rice, stirring it to coat it with all the flavors. Then stir in the chicken broth. Bring it to a boil then lower it to a low simmer. Cover the pot and simmer it for about 40 minutes. Then—without stirring—add the beans and kale, and re-cover the pot and cook for another 5 or 10 minutes. 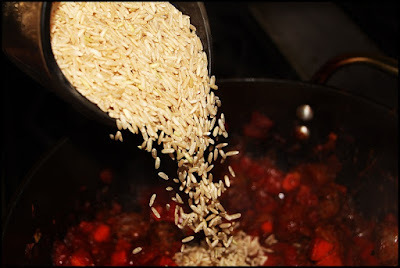 Turn off the heat and allow the rice to rest for another 5 or 10 minutes. 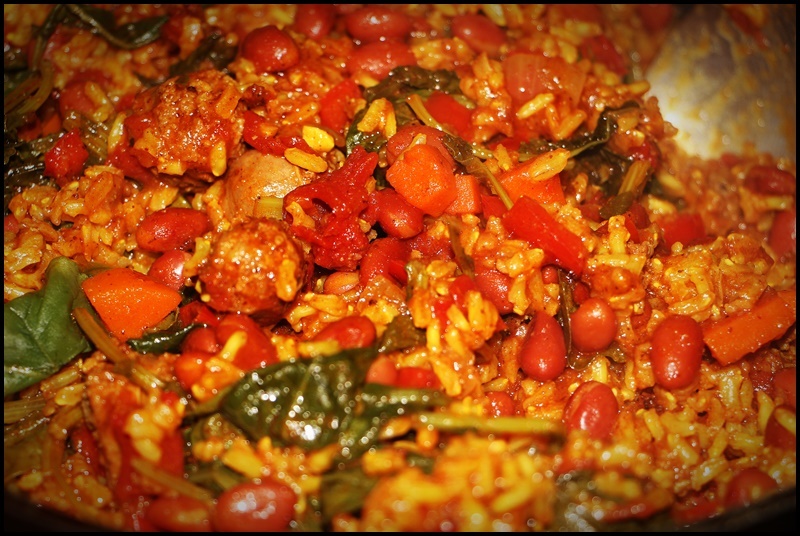 The carefully fold in the beans and kale while fluffing the rice.